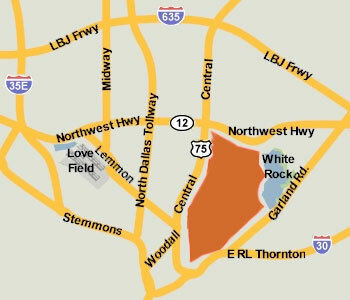 These premium properties in Lakewood, M-Streets, and Old East Dallas were listed for lease as of April 20, 2019. Click on the address for more information on each, including photos and a map of its location. ° Beautifully remodeled condo on Lovers Lane, being offered as a fully furnished rental. A spacious living area welcomes you into the home, and features a cozy brick fireplace, vaulted ceilings with skylights and stunning laminate wood floors that continue throughout. Gorgeous galley kitchen boasts granite counter-tops and modern grey cabinets accented by black appliances. Over-sized master suite with sitting area and large closet. Spacious front porch, and a pool on the property. Stackable washer and dryer also included. Agent MUST be present for showing. Landlord is willing to remove furniture if preferred. **Pets case by case. $200.00 lease coordination fee due at signing. ° FULLY FURNISHED & Minutes to Arts District & Uptown in a gated community. Kitchen equipped with appliances, dishes, pots, pants, etc. Includes granite counter tops, hardwood floors and is adjacent to dining area and living area with hardwood floors flat screen and tasteful furnishings. Living room sofa is sleeper sofa. Great balcony off of living area with tree top and partial downtown view. Second floor master with desk area and full bath. Additional amenities include alarm monitoring fees, internet, gas, water included in rental price. ° Additional Info: No pets allowed, furnished, W/D connections incl., available now, 0 covered parking space(s), 1 fireplace(s), Dallas ISD. ° FURNISHED Custom Loft ranked #1 on AirBnB Dallas lofts. Lease short term furnished, including internet & utilities. Executive or Corporate Rental OK, 2-story custom-built Warehouse Loft with stained concrete and walnut floors, wood ceilings, stainless kitchen & grey-tile bath, long windows with lots of light, 16' ceilings and steel beams. Off-street parking in the heart of the warehouse district - walk to music, art, dining, clubs. All new. This is a custom loft in a larger warehouse building. In the building there is another loft and also the GeniusDen - a business incubator with common work space, high-speed internet, and lounge areas. Original art, all new furniture and rugs. ° Additional Info: Pets allowed limit 1, furnished, onsite W/D connections, available now, 0 covered parking space(s), Dallas ISD. ° FULLY FURNISHED 2BR & 2BA LEASE with REFRIGERATOR, WASHER & DRYER and 2 PARKING SPOTS. LEASE INCLUDES ELECTRIC, WATER and TRASH. This home offers a large living room area and a large dining room area and a kitchen that opens to both living and dining. There is a wonderful floor to ceiling see-through fireplace that separates the living and dining areas. The large private fenced patio area, accessed through 3 sets of French doors, is perfect for entertaining and a great extension of the living areas. The 2 bedrooms are generous in size and have large closets. Lease includes kitchen refrigerator and washer & dryer (stackable). Also includes 2 assigned carport spaces. ° Additional Info: Pets allowed limit 1, furnished, W/D connections incl., available now, 2 covered parking space(s), 1 fireplace(s), Dallas ISD.